We currently have two Green Flags. 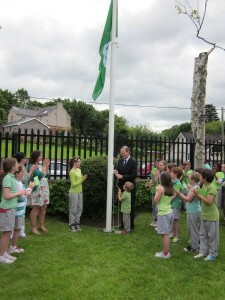 Mr. Simon Coveney, Minister for Agriculture, Food and the Marine came to St Luke’s School to officially raise our second green flag in June 2012. 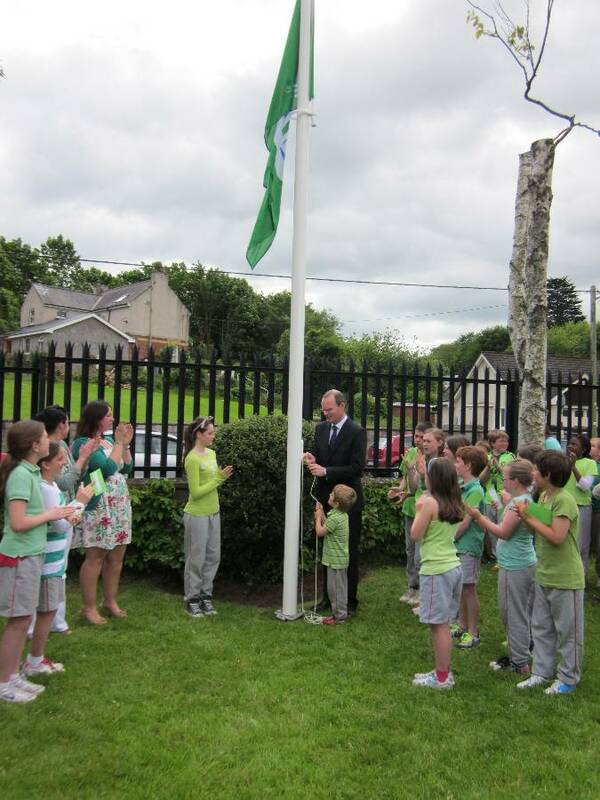 This flag was achieved through the tremendous hard work of our Green School Committee and the entire school community. Green Schools is a nation-wide programme that helps to make schools aware of the environment and the importance of looking after it. It gets schools recycling more, saving energy and generally being more ‘green’. 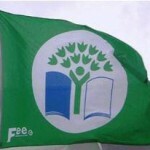 What is a ‘Green Schools’ Flag’? 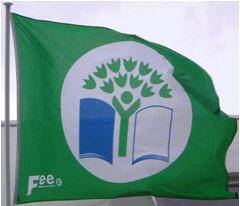 A Green Schools’ flag is awarded to schools that have shown excellent awareness and action with regards to our environment and looking after it. There are 7 flags in total that schools can work towards: litter, energy, water, travel, biodiversity, global citizenship, climate change. What is the ‘Green Schools’ Committee’? The Green Schools’ Committee is a group of pupils, teachers and parents from the school community who share and implement ideas to help our school be more ‘green’ and achieve Green Schools’ flags. There are 2 teachers, 1 parent, the principal, and 2 pupils in each class from 3rd to 6th classes on the Green Schools’ Committee. Why are there so many people on it? There are so many people on it so that we can have lots of ideas and so that we have plenty of people to help to put our ideas into action. Why are they from all different classes? They are from all different classes so that all of our school is a part of the action. 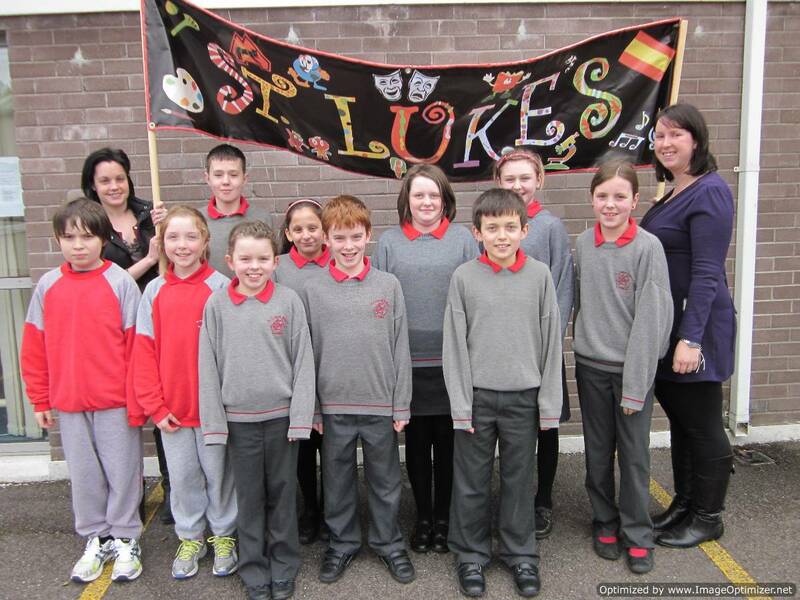 What flags do St. Luke’s have so far? St. Luke’s have the Litter & Waste flag and also, the flag for Energy. What flag are we working towards at the moment? We are beginning work on the new theme of water, while continuing to maintain work in the previous areas of litter & waste, and energy. How are we decreasing litter, promoting recycling and saving energy in our school and community? We have installed push taps to help save water. We have a no-wrapper day every week. We have litter wardens. We check that the lights are turned off and that the doors are closed in every room in the school each break time. We have posters and checklists around the school to remind people to turn off lights, to close doors and to turn off electrical equipment. We have battery recycling boxes so you can recycle your used batteries. We have ‘Energy Hours’ in our school when we cannot use any electricity. We had an ‘Energy Action Day’ when we all wore green, used less electricity and learned about the different types of energy and how to save them. We listened to speakers from outside the school who know about energy and how to use less of it. Why is ‘Green Schools’ important? Green Schools is important to make us all aware of the environment and the need to look after it for ourselves and for the future. It helps us understand how we can help and enables us to work together to be actively ‘green’.